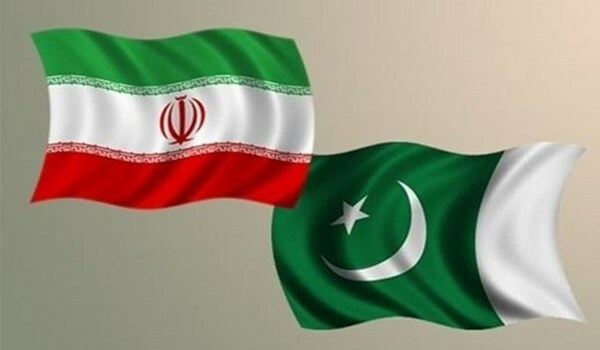 A Pakistani official declared that his country attaches great importance to expanding bilateral ties with Iran in all sectors especially in economic and commercial areas. Governor of Pakistan’s northwestern Khyber Pakhtunkhwa Province Shah Farman affirmed his country’s resolute will to broaden al-out relations with Iran on Friday in a meeting with Consulate General of the Islamic Republic of Iran in Peshawar Mohammad Baqer Beygi. The ruler of Khyber Pakhtunkhwa province placed special emphasis on the necessity of supporting trade and business opportunities due to the current potentials and capacities between the two states. He called for the cooperation of Iran and Pakistan as well as Islamic countries to establish unity and amity as well as to prevent divisions and sectarianism among Muslims. Speaking for his part, Beygi congratulated the triumph of Pakistan Tehreek-e-Insaf in reformation of the government in Khyber Pakhtunkhwa province and Shah Farman’s appointment as the ruler of the province in Pakistan. Considering the high potentials and capacities between Iran and Pakistan as two neighboring countries with common culture, he expressed hope that relationship between the two countries will be promoted more than before, he maintained. Earlier in mid-September, Pakistani Foreign Ministry Spokesman Mohammad Faisal renewed his country’s support for the nuclear agreement reached between Iran and the world powers in Vienna in July 2015. “Unilateral withdrawal and arbitrary rescinding of Joint Comprehensive Plan of Action (JCPOA) would undermine the confidence of the international community in dialogue and diplomacy,” Faisal said, addressing a weekly press briefing. He underlined that the Iranian nuclear deal, also known as the Joint Comprehensive Plan of Action (JCPOA), represents a good example of negotiated settlement of a complex issue through dialogue and diplomacy. “Unilateral withdrawal and arbitrary rescinding of the agreement, which was an outcome of a decade long effort of diplomats, would undermine the confidence of the international community in dialogue and diplomacy,” he said. Earlier Pakistan had called upon all the parties to honor their commitments regarding the implementation of Iran nuclear deal. The JCPOA stipulates the gradual removal of the West’s sanctions against Iran in exchange for Tehran maintaining a peaceful nature of its nuclear program. However, US President Donald Trump announced in May the withdrawal of the United States from the 2015 nuclear deal and the reinstating of the first round of sanctions in August.